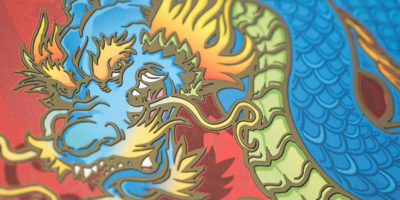 Traditional print finishing machines required the creation of custom embossing dies and screens and time-consuming machine setup. If anything needed to be changed, a project could delayed by days. The EVO printing press uses technology that makes setup fast and easy, reduces errors, and produces quality output at a rate that far exceeds traditional methods. Embossing Plus has recently added the EVO printing press to our facility, making us the first print finishing shop in the country to own this innovative machine. The output from this entirely digital machine is just as impressive as traditional methods, with technology in place to optimize and correct any printed or physical imperfections. 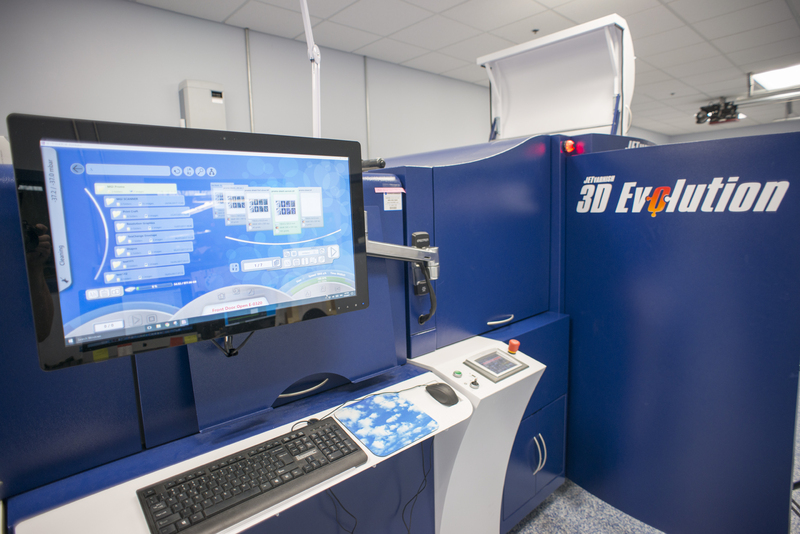 And the EVO applies all print finishing embellishments in a single pass, reducing the potential for errors and producing high-quality output at a rate of 3000 ISO B2 sheets per hour. The EVO uses MGI Artificial Intelligence SmartScanner (AIS) software, the world’s first “Intelligent Registration” that analyzes and scans every piece and adjusts inkjet head performance automatically. The AIS treats each piece like a separate, individual print job and optimizes it to correct for stretch, skew and shrink so all effects are lined up perfectly. The “Scan & Register” setup process is simple and automatic, minimizing time, effort and waste compared to traditional registration methods. The EVO does not use any of the custom molds, screens or dies of traditional print finishing, so instead of waiting for custom-made materials and press setup, print jobs can be set up on the screen. The ability to show customers an instant view of the final product before it goes to press guarantees that they get what they want. Unlike traditional methods, the EVO can print a sample run can on demand to ensure customer satisfaction. And if changes are needed, Embossing Plus can make adjustments digitally, working with the customer until they have the exact look they want. With the speed and accuracy of a completely digital process, customers have their materials faster so they can put them to use for their business. 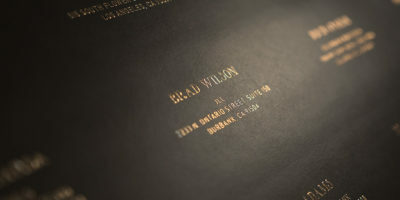 Embossing Plus is committed to producing high-quality print output with a lightning-fast turnaround. With the first JETvarnish 3D Evolution in the industry, we’re the first to be able to offer fast turnaround on print finishing projects. 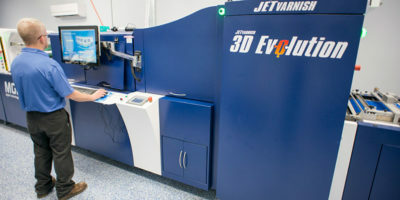 Contact us to learn more about how the JETvarnish 3D Evolution produces error free jobs, every time.